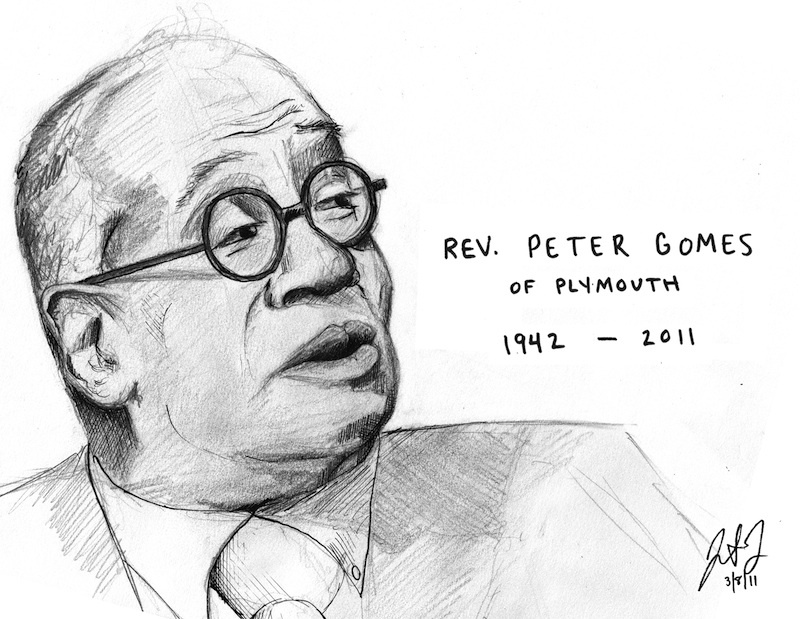 Jesus in Love Blog: Peter Gomes: Gay black Harvard minister preached "scandalous gospel"
Peter Gomes: Gay black Harvard minister preached "scandalous gospel"
Peter Gomes was a gay black Baptist minister at Harvard and one of America’s most prominent spiritual voices for tolerance. He used his national celebrity as a “gay minister” to make the religious case for LGBT people, even though he reportedly disliked the label. He died at age 68 on this date (Feb. 28, 2011). A man of many contradictions, Gomes became a Democrat in 2007 after decades as a conservative Republican. He even gave the benediction at President Ronald Reagan’s second inauguration in 1985 and preached at the National Cathedral for the inauguration of Reagan’s successor, George Bush. Gomes (May 22, 1942 - Feb. 28, 2011) was born in Boston to a black African immigrant father and a mother from Boston’s African American upper middle class. He grew up in Plymouth, Massachusetts. 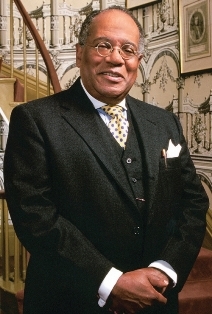 He studied at Bates College (where a chapel was named after him in 2012) , earned a divinity degree at Harvard University, and taught Western civilization at Tuskegee Institute in Alabama for two years before returning to work at Harvard in 1970. Four years later he became the first black person to serve as chief minister to Harvard. He held the positions of Pusey minister at Harvard’s Memorial Church and Plummer professor of Christian morals for the rest of his life. In his 1996 best-seller, “The Good Book: Reading the Bible with Mind and Heart,” he showed how the Bible was misused to defend homophobia, racism, anti-Semitism and sexism. His 2007 book “The Scandalous Gospel of Jesus: What's So Good About the Good News? ” went on to show that Jesus was a subversive whose radical gospel always overturns the status quo. Among Gomes’s many admirers is artist Jon Dorn, who drew the portrait at the top of this post. Dorn is a cartoonist, filmmaker, and Master of Fine Arts student at Emerson College in Boston. He also serves on the Plymouth Cultural Council. “The question should not be ‘What would Jesus do?’ but rather, more dangerously, 'What would Jesus have me do? '” -- Peter Gomes in The Scandalous Gospel of Jesus: What's So Good About the Good News? “To some, the temporal triumph of the Christian community in the world is a sign of God's favor and the essential righteousness of the Christian position. The irony of the matter, though, is that whenever the Christian community gains worldly power, it nearly always loses its capacity to be the critic of the power and influence it so readily brokers.” --Peter J. Gomes in The Scandalous Gospel of Jesus: What's So Good About the Good News?